England boss Gareth Southgate saluted England's black players after they faced a torrent of racist abuse from sections of the crowd during their 5-1 win in Podgorica on Monday night. The victory put them top of their Euro 2020 qualifying group with six points after two matches. The rout was marred by the chanting directed at defender Danny Rose as well as Raheem Sterling and 18-year-old Callum Hudson-Odoi who were playing on the left and right wings respectively. "We had an excellent performance," said Southgate. "Once we got the ball to the wingers, they were outstanding. I was really pleased as there were lots of encouraging things. "But after the match you've got an 18-year-old being asked to respond to what's happened when his evening should be about the joy of his full debut. "I heard the abuse when Rose was booked," added Southgate. "It's unacceptable. I've spoken to our players. What's important is that they know that as a group of staff and organisation we will support them." Southgate refused to criticise the Montenegro coach Ljubisa Tumbakovic who claimed he did not hear the vitriol. However European football's governing body, Uefa, has launched an inquiry and will decide on 16 May whether to punish the fans' behaviour at the Stadion Pod Goricom. The match started well for the home faithful. They were crowing after 17 minutes when Marko Vesovic exploited Michael Keane's poor clearance to cut in from the left and curl a drive past England goalkeeper Jordan Pickford. Twelve minutes later Keane made amends when he headed home Ross Barkley's free-kick. Provider turned poacher just before half-time to give England the lead and Barkley grabbed his second of the game just after the pause to give England a cushion. In the closing stages, Sterling set up Harry Kane before adding the fifth. The Manchester City striker cupped his ear to the crowd in a gesture of defiance. Sterling tweeted a picture of his goal celebration. "Best way to silence the haters (and yeah I mean racists)." He told Sky Sports: "It's 2019 now, I keep saying it. It's a shame to see this going on and we can only bring awareness to the situation. It's now time for the people in charge to put a real stamp on it because you can fine someone, but what is that going to do?" Southgate said education would be the best way to stamp out racism in football. "Sanctions are worthless if there is nothing alongside that to help educate people," he said. "My kids don't think for one minute about where people are born, what language they speak, what colour they are. There's an innocence about young people that is only influenced by older people. So we have to make sure that the education is right for everybody. "In England, it's the same. I've said this before, I'm not sitting here just criticising what's happened because in our country we have the same issue. We're not free of it." 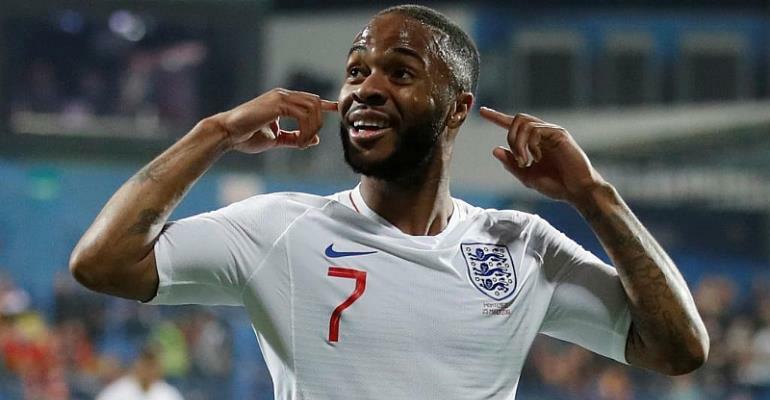 The Campaign group, Football Against Racism in Europe (Fare) praised the England players for their reaction in a match the group had designated as high risk. "No human being should have to face abuse and vilification for their race or identity, something that many Montenegrins will understand from the divisive and bloody recent history of the Balkans," the group said in a statement. "We hope that Uefa will act decisively."